These are the rules. Learn them. Follow them. Ignore them at your peril. There will be a test. It is called life. You do not create wealth by taxation. Taxation just takes wealth away from some and gives it to others. Redistribution is not creation. You get more of what you subsidize and less of what you tax. If you tax those who create wealth, you get less wealth creation. If you subsidize illegitimacy and poverty (which go sadly and frequently together) you get more poverty and illegitimacy. Put differently, if you punish success, you get less success. If you reward those who do not contribute their hard work, you get fewer folks willing to contribute hard work. Wealth creation happens more easily and more often in a stable economic environment. Before folks lay their time, effort, and money on the line starting a new business and creating new jobs, they need to know that the rules of the game will be fairly and predictably applied and that the government will not be tilting the playing field against them or doing magic tricks with currency, like flooding the marketplace with fiat money, thus making every dollar of every person worth less and less. The condition of an apartment tends to follow its price. If, by some legislative connivance, you put a price-control ceiling on an apartment in order to keep down its price, its condition will go down to that price point. Virtually every rent-controlled housing project proves it. Rent control is the parent of squalor and danger, not thrift or great neighborhoods. The fundamental building block of a society is the family, not the allegedly autonomous individual. Whatever undermines traditional families and traditional family roles tends to undermine the society as well. Poverty tends to circle around broken homes. The key to financial success is now what it always has been: Work harder than those above you; save your money; invest your money; and keep your family intact. Whether you are a family or a government, do not spend what you do not have; make a budget; stick to it. Good governments and good families are characterized by prudence and self-discipline. Learn the importance difference between a desire and a need. To act wisely, you first must know wisely. You must think with your head, not your heart. Good intentions do not mend the matter of foolishness at all. Gosh, Mike, I can do everything and believe everything up there except “do not spend what you do not have.” Aren’t budgets abstract approximations? Where will I get my next Harley? The bottom five of these sound sanely conservative in every case that I can imagine. Good rules. The remainder are not consistently true, and ideas cannot be conservative if they are not true. Bad rules. I’m trying to understand how we came to the pass where gnomic maxims get more respect than evidence-supported quantitative models that have worked across a wide range of historical experience. Surely it is more prudent to follow the latter, and what is not prudent is not conservative. 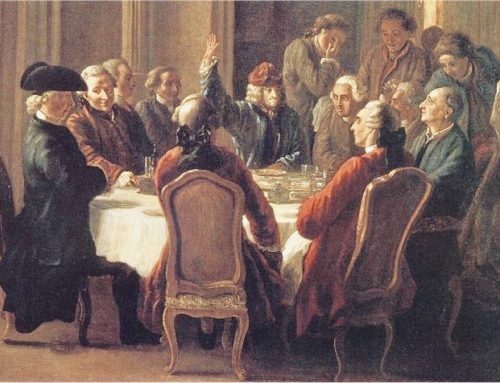 The thing about Dr. Bauman which likely irritates the intellect is that he speaks of profound truths in simple terms, and mainstream economists who crew the ship of State – perhaps more than most social scientists- would love to imagine that only they, privy to sensitive data and capable of applying their equations to it, know what is best. Simple truths irritate their prides. The quantitative models that attempt to demonstrate the opposite of Dr. Bauman’s rules have only succeeded when applied to societies that had first by and large followed the rules for many generations. Wealth creation has that strange effect: once wealth appears after generations of enterprise, we begin to take it for granted and try to perpetuate it using every possible means except the ones that would require us to continue working rather than resting, saving rather than spending, and producing rather than consuming. Dr Bauman is not irritating. But “to every thing there is a time, and a season to every purpose under heaven…” A few of his profound truths would be even more profound if they distinguished high tide from low tide. There is a difference between a truthful conservatism that is adequate to a responsible life among things that inexorably change and a sort of decadence that builds beautiful stone castles within range of heavy artillery as though someone else will be responsible when the walls crumble under fire. The alternative to illusion is not circumambulation. I like it. The one I might quibble with is this: “Whether you are a family or a government, do not spend what you do not have; make a budget; stick to it.” Sometimes, and prudence will let us know when, a loan against future income may make sense. I’m thinking of a mortgage for a home or a loan to improve your business. But I understand the general thrust of the rule.